A MAJORITY of Australians gamble every week and are blowing thousands of dollars a year in the hope of winning cash, alarming new statistics have revealed. 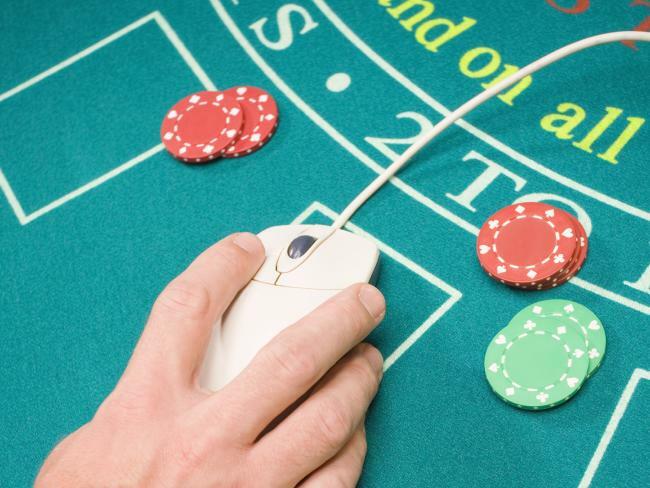 Experts have blamed the boom in online betting agencies behind 60 per cent of Aussies gambling weekly — one in five admit they regularly engage in online gambling. Buying lottery tickets is the most prevalent form of gambling (52 per cent), followed by pokies (20 per cent), horse racing (19 per cent), online betting on sporting matches (18 per cent) and gambling at the casino (14 per cent), Galaxy Research of 1000 Australians revealed. And it’s costing the average gambler $3100 every year. The study, commissioned by debt solutions agency Fox Symes, also found men are more likely to gamble than women. Fox Symes’s executive director Deborah Southon said the biggest area of concern was the prominence of online gambling among younger Australians. “A lot of these young kids have grown up with the internet and they are comfortable with it and we’ve seen an explosion in the last four or five years (of people with online gambling problems),’’ she said. “We had one man yesterday when going through his bank statements there was no expenditure on food or entertainment, it was all on gambling, it’s absolutely disturbing. Prime Minister Malcolm Turnbull this month confirmed the Government would ban gambling advertising before 8.30pm during live sporting events and for five minutes before and after the start of play. Exemptions remain for horseracing and lotteries. Financially Counselling Australia’s chief executive officer Fiona Guthrie said while online gambling was a worry “pokies remained the single biggest harmful addiction” counsellors had seen. “Online sports betting, particularly with young men, is growing exponentially, it’s become normalised, it’s all over television,’’ she said.